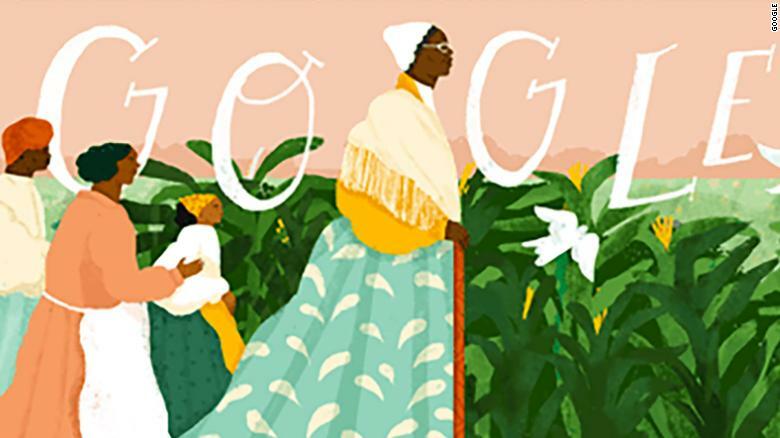 Friday’s Google Doodle, designed by Philadelphia-based artist Loveis Wise, honors the legacy of Truth and her fight for racial equality and justice in the US. Truth, whose birth name was Isabella Baumfree, was born into slavery on the estate of Col. Johannes Hardenbergh around 1797. She was sold for the first time at the age of nine, before being sold twice more in the space of two years. She was bought by her final master, John Dumont, in 1810. While enslaved by Dumont, Truth fell in love with a slave named Robert from a neighboring farm. The union was banned by Robert’s masters, who did not want him to have children from whom they could not benefit. Both Robert and Truth subsequently married fellow slaves from their respective farms, and Truth went on to have five children. After enduring years of slavery — even seeing her own children being sold into servitude — Truth eventually gained her freedom. Dumont agreed to grant Truth her freedom in 1826 — prior to New York’s emancipation of July 1827, which ended slavery in the state — but later rescinded his offer. Truth accordingly liberated herself, fleeing Dumont’s farm in the early hours of the morning with her infant daughter. She subsequently left New York in 1843, became a Methodist and changed her name to Sojourner Truth. She joined the Northampton Association of Education and Industry — an abolitionist and suffragist organization — in 1844, where she met activists including William Lloyd Garrison and Frederick Douglass, who encouraged her to speak out about the suffering she had endured. She published her memoir, The Narrative of Sojourner Truth: A Northern Slave, in 1850, and gained national acclaim as a speaker, delivering dozens of speeches and lectures on women’s rights and abolitionism. A year later, she delivered her famous “Ain’t I a Woman?” speech in Akron, Ohio, in which she advocated for equal human rights for women as well as African-Americans. During the American Civil War, she supported black regiments by collecting food and supplies, and she was received by Abraham Lincoln at the White House in 1864.